You are here: Home / news / The Nextmen Vs Bestival Mix. The line up for this year’s Bestival gets better and better, tickets are almost sold out and the boys and girls Bestival HQ keep adding to the already impressive line up. After sweeping up at last year’s festival awards Bestival look set to retain their crown as the best UK festival of the season. 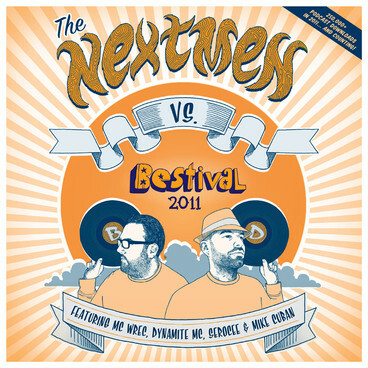 To get you in the mood for this year’s shindig Bestival have teamed up with festival favourites The Nextmen to present a Nextmen v’s Bestival mix, available for download over on the NME website. The mix features tracks from some of the artists that will be playing across the weekend, all cut in up a pasted together in that unique Nextmen Style. Highlights of the weekends line up include Pendulum, Primal Scream, Fatboy Slim, DJ shadow, Chromeo, LFO, Annie Mac, DJ Yoda, A Skills, Global Communication, James Blake and Beardyman, and that barely scratches the surface, add to that exciting stages like the roller disco and the always impressive After Burner, and of course the Fancy dress theme, which this year is Rockstars, Popstars and Diva’s, and you have yet another amazing weekend on the Isle of Wight. With the only remaining tickets available from the official festival travel partners we’d suggest you jump on them quick!